Thank you for visiting Foreverhome Pet Rescue, Inc – South. Founded in 2005 by long-time animal rescue volunteers, Foreverhome Pet Rescue’s goal has been to provide care and compassion for the homeless and abused animals of the Los Angeles area, while working to place them in permanent adoptive homes. Over the past 10 years, the faithful volunteers of Foreverhome Pet Rescue have provided safe and loving foster homes to hundreds of pets. Through our detailed application and screening process we have been able to find FOREVER homes with FOREVER families. These adoptions have changed the lives of the animals and humans alike. 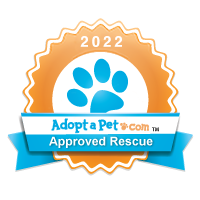 To see a list of our current pets available for adoption, click on the Adopt-a-Pet.com or Petfinder.com logos to the right. Our adoption process requires that an application be completed via the online pet application. To submit an application, simply select the appropriate form on the Applications tab. You will be notified immediately by email that your application has been received and is being reviewed. The application will then be submitted to the Board of Directors for review to determine whether or not your application represents the best situation for the pet you applied to adopt. This process could take 3-4 days. Please note – in an effort to provide proper attention to our pets, no manual applications will be accepted during in-store adoption events. If the Board of Directors approves your application, you will be notified when and where to meet your new forever friend. You will be asked to sign an adoption contract and pay the tax deductible donation. We thank our friends at Unleashed who have graciously provided space for adoption events. Unleashed personnel are not aware of current pet availability. Since Foreverhome Pet Rescue, Inc is truly a rescue organization, many of the pets come to us either sick or injured due to neglect, abuse or accident. Veterinarian fees for these animals can reach the thousands. If you would like to know more about our current “special needs” pets, click on the Emergency Medical Fund logo below. Or, if you would like to make a donation now you can do so through our PayPal Donation account. Or use our convenient PayPal Donation program.